You may include beWISE on any CD compilation. You may not sell the evalution copy. You must disclose that beWISE is SHAREWARE and the product is not free. 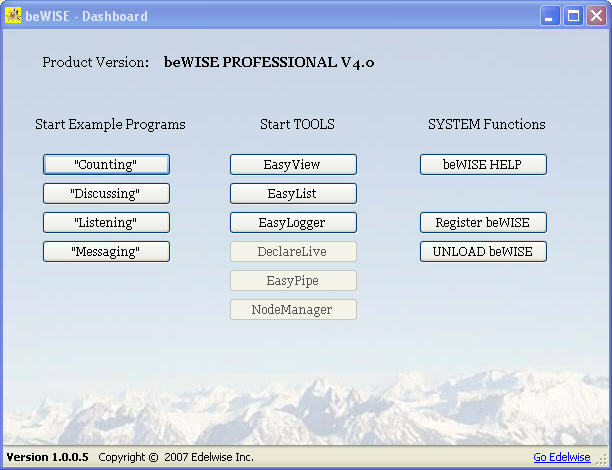 beWISE SOFTWARE LICENSE: With purchase of one license you a) may install beWISE on up to 5 (five) of your own computers for development purposes b) are allowed to distribute beWISE files together with your application (to allow it to run) free of charge as long as your application is not a development system c) are not allowed to distribute beWISE files for free if you are selling (or otherwise giving away) any type of development system.